Konami’s Month of Madness is a failure. What the company had hoped would be a brilliant maneuver for the Silent Hill franchise ended up being nothing more than broken promises and broken dreams. 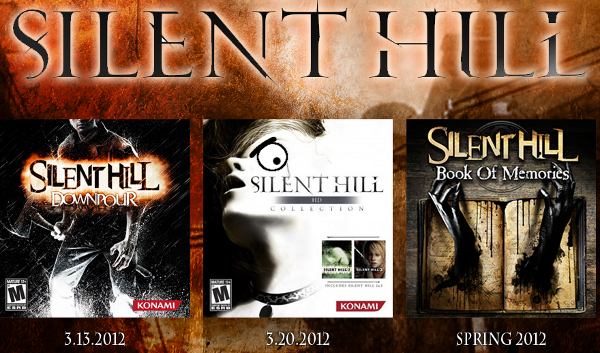 Konami aimed to release three Silent Hill games in the month of March. This was already a mad course of action to begin with but somehow Konami failed at their own plan by releasing unfinished products. The Silent Hill HD Collection was originally set to launch on March 6th—the very same day as Mass Effect 3, after missing its previous release date in January with an October/November release, before that. Thankfully, someone at the company realized shipping another HD Collection on the very same day as a AAA game launch was a horrible decision; I couldn’t even find the Metal Gear Solid HD Collection amidst the swarm of Modern Warfare 3 crowds. 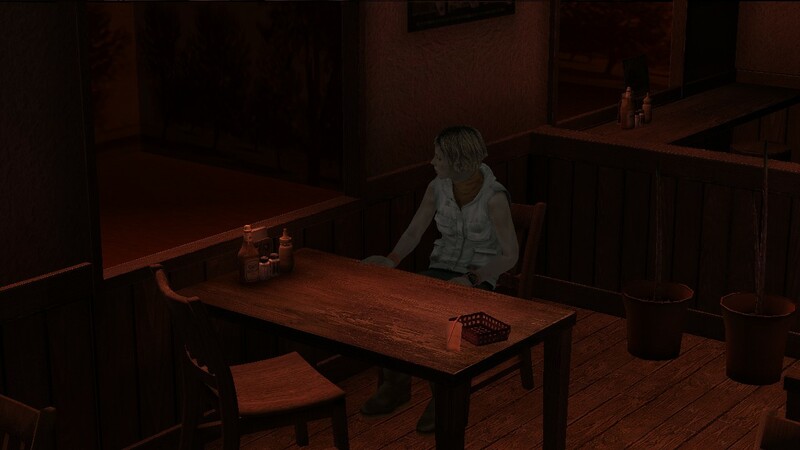 When the Silent Hill HD Collection was finally released on March 20th, fans quickly realized that the game was unfinished, buggy, and unfaithful in multiple regards. 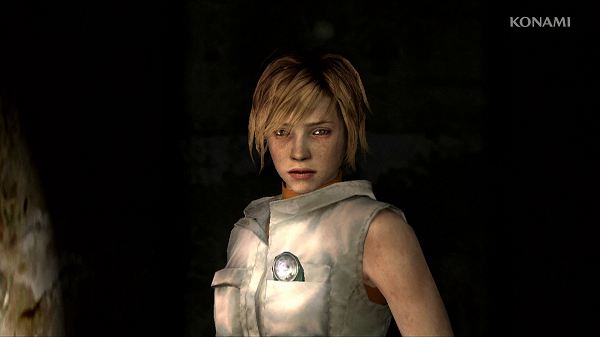 Music tracks in some scenes were different, sounds were lazily mixed, and little effort was put into the game’s fog effects in both Silent Hill 2 and Silent Hill 3. The game was clearly not done. When Whitney and I played it back in September, these issues were expected because, then, the game was obviously incomplete. Was this game rushed just to be placed in a weak marketing attempt at hyping the series? Pushing out an unfinished game to fit into some ridiculous strategy is not marketing. To market a game, you have to build hype with promotional material, commercials, trailers (current, not dated for a prior release date), you know, spend money. Simply releasing unfinished products close together does not equal sales. It means over-saturating the market in an attempt to seem relevant. Hell, even Facebook could have been used to release new trailers. Actual screenshot released that features an unfinished environment. The advertising for this series has gotten so bad that no one seemed to bother sending game information to Microsoft for Xbox Live. Neither the Silent Hill HD Collection or Downpour appear on the marketplace with any info. Looking at the game info from the disc drive, the games can not be user rated. This means that no one bothered to send game info to the service, at all. Not even a single trailer for either game has been released on PSN or Xbox Live. Does it cost money to put a trailer on a console’s online service? It seems like such a rudimentary thing that was forgotten. Obscure titles that don’t have any fanbase at all do these simple little things. How could Konami not do so for either title for this long-running franchise? I love the Silent Hill series, but even I know releasing three games from the same series in one month makes little sense. Not only did Konami plan to do such a radical thing, but they also made the mistake of selling both Silent Hill Downpour and the Silent Hill HD Collection before they were fully completed. Admittedly, Silent Hill Downpour’s problems didn’t cause that much of a problem for me on Xbox 360, but it seems like it suffers more so on the Playstation 3. The Silent Hill HD Collection is miles worse; people who have purchased the HD Collection can all agree that it’s just infuriating–the PS3 version more-so. The PS3 version of the Collection has been noted to have framerate issues, freezing, audio hiccups, and general performance problems. A patch was released because the game was apparently unplayable but some still report that no difference has come of it. So, why did Konami have to create this Month of Madness if two of their games were still filled with bugs? Who’s looking over the quality of these releases? Meeting deadlines is understandable. But making up a cheap marketing tactic that only rushes your games to market won’t do any good for sales. The HD Collection already has a negative image. It’s being seen as Konami’s biggest blunder, because these are fantastic games that are around a decade old. They are two of the company’s best games. How could porting them this sloppily be good for business? Silent Hill isn’t the only series suffering from Konami’s negligence. NeverDead was a mediocre game that had no place releasing in 2012 as it did. Metal Gear Solid 3 for the 3DS has also been reported to feel unfinished and buggy. How can this continue to happen? What is going on at this once great publisher? It’s just baffling. 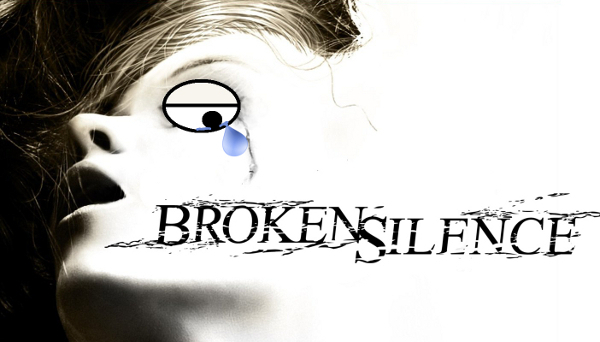 Still no trailer for Silent Hill’s Vita outing. As for the third title to release in the Month of Madness, Silent Hill Book of Memories, we’re left with only questions. Don’t count on the game releasing near its original date. Silent Hill Book of Memories was delayed less than a week before its release, yet the company has been completely quiet about any delay. The gaming press had to ask Konami about a delay after seeing date changes on retail sites and even the Silent Hill website. Konami saw fit to update their website before they updated the press about the delay. As of today, it’s a full week after the game was planned to release and a press release has not been given. I’m fine with delays but please, tell people. It makes no sense to delay something and not tell anyone, even if the reception of the product has been lukewarm. Perhaps Konami delayed BOM because they saw how much they messed up with the HD Collection: rushing to release an unfinished product only to have massive backlash. If that’s the case, then great, but if it took releasing an unfinished game to realize that that very action is foolish, then WOW. It’s almost hard to describe because it’s so ridiculous. Of course if you throw an unfinished game out the door fans will be upset and you’ll look bad. It’s all so simple! When am I gonna wake up? As a Silent Hill fan, it hurts to see Konami basically sabotage their very own series. Silent Hill has always been about attention to detail and passion. How can Konami expect their creative types to flourish when they make such detrimental decisions that only hurt the series they expect to make a profit from? Money and passion needs to be utilized if a return is expected. The course of action seems so simple. With little to no advertising, horrible release scheduling, and lack of communication, Konami is hurting the series I love. I wish someone would realize this at the company and make it stop. I want to judge the games for what they consist of creatively, not the amount of bugs or problems that hinder enjoyment.